New version 18 released on Nov 2, 2018! Active@ File Recovery Standard allows you to recover deleted files or to recover files from deleted or damaged partitions. Professional package additionally includes integrated Active@ Disk Editor (or HexViewer - utility for low-level data inspection), supports recovery from damaged RAIDs, allows to define custom signatures to be detected, and includes Organizer for files detected by signatures. Ultimate package in addition to Professional features contains Active@ Boot Disk Lite - a bootable WinPE-based ISO Image that you can burn to CD/DVD/Blu-ray or write to USB Flash Disk using supplied Bootable Disk Creator. 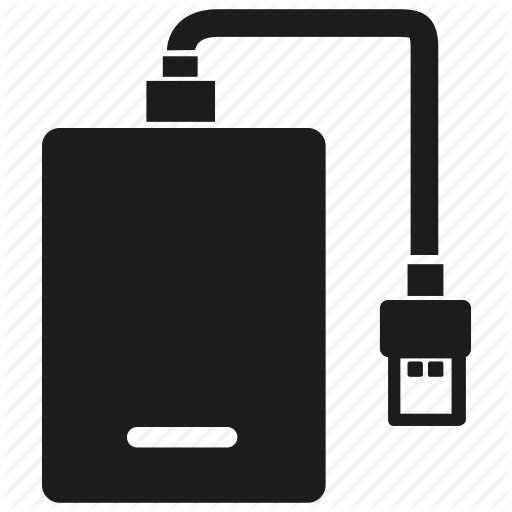 Windows PE boots from this CD/DVD/USB and you are able to recover partitions as well as recover particular files and folders from the lightweight Windows recovery environment. This is crucial for unbootable systems. Ultimate package also includes Linux-based bootable Active@ LiveCD, being able to boot all the latest x86 & x64 UEFI secure boot systems. Purposes Non-commercial Commercial. Use the program in a business, academic or government environment. Business license that provides unlimited worldwide licensing for corporation. Active@ File Recovery is a lifesaver when it comes to recovering lost files due to accidental formatting, deleting or even hardware crashes. 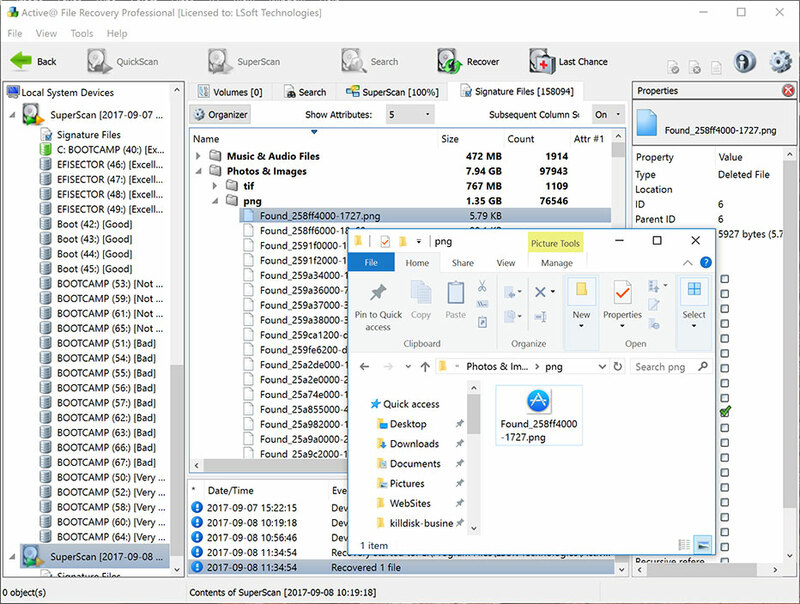 Being able a larger variety of files than most file recovery software on the market, Active@ File Recovery is easy to use with a Windows-explorer like navigation window, a variety of features and recovery at a click of a button. I would like to express my gratitude and amazement at your product, it has performed exactly as stated and it has saved my many days (maybe weeks) of work and huge embarrassment. Last night I had a major failure of my main hard drive, which included the boot drive and my SQL data files. After spending many hours with other software finally I found your software and all the data that I thought was lost has now been restored. I cannot say how happy I am and how thankful that you have developed such a fantastic product. Your product, Active File Recovery, is exactly what I've been looking for - for the longest time. I've tried many other file recovery products, but none... 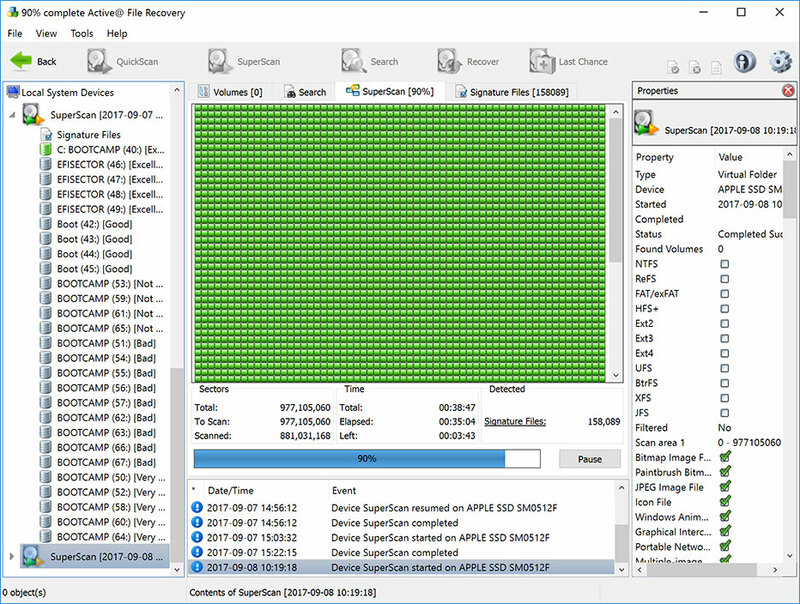 Using your file recovery software, recovery of 18 Gigs of data, from a partition that lost the drives Master Boot Record, was very easy, and was transferred over to another separate drive, so the original drive could be re-formatted and have the files put back, all within an hour. You saved all my data, and I thank you for making this program available. I'm very impressed with it.